Farah Al Sharif is a Palestinian journalism junior at NU-Q. Living within the Palestinian diaspora, Farah is very adaptable to different cultures and languages and is fluent in three. She is deeply passionate about social justice, politics, religion, fashion, culture, travel and mental health. 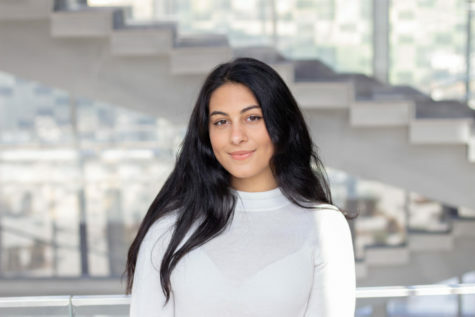 Farah has been involved in the Global Media Experience as well as Wildcat Serve, where she spent 3 weeks in Cyprus providing legal, professional, and psychological aid to refugees and migrants in Cyprus. She is a photographer, writer, and human rights activist.